There’s more snow on Mount Hotham than there has been in a decade, so it’s the perfect time to head up the mountain – for dinner too, not just the skiing. We’re on the home stretch for winter, so instead of complaining about the cold, it’s time to get out there in the white stuff. And, there’s been no better year to do it: Mount Hotham and nearby Dinner Plain have seen their best snowfalls in a decade. 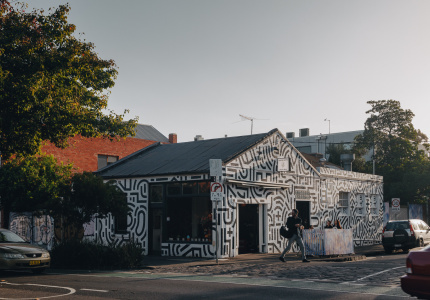 But even if you’re not particularly interested in tearing it up on the slopes, there are plenty of more relaxed places to visit in the Victorian Alps. 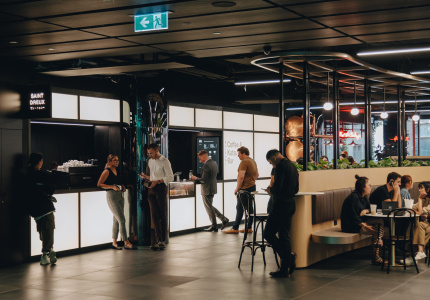 Smart new restaurants and cafes are serving local produce, the fires are lit at the lodges and the snowgums at dusk are worth the trip alone. 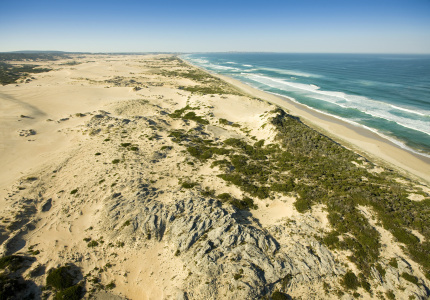 True, it’ll take you a day to drive from Melbourne, but the five-hour trek is undoubtedly worth every minute. Originally built as a winter retreat for high-ranking Army officers, there’s nothing spartan about Peppers Rundells in Dinner Plain. Hosts Gary and Margaret Battershill fit out the four-star residence with wood and stone, with views out into the snow gums. 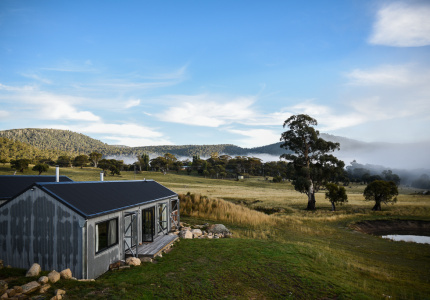 Set in the centre of Dinner Plain, 15 minutes away from the peak of Mt Hotham, the accom-modation features a spa and sauna, the “paddock” bar, comfortable rooms and a raging fire-place. You won’t want to go outside. The White Room not only boasts what has to be one of the nation’s greatest views, with a sweeping outlook from the top of Hotham out over the valley, but a great menu to boot. 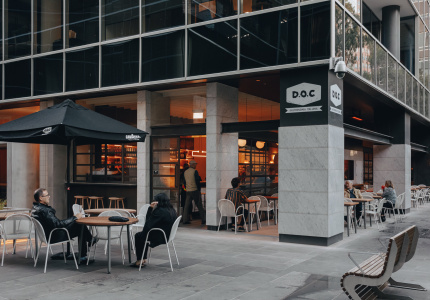 Chef Tristan Keene – formerly of Melbourne’s The Auction Rooms – is serving extremely entertaining food: lunch includes a delicious dish of Memphis Fried Chicken and buttermilk slaw or a Hopkins River Beef Burger with Kraft cheese and Milawa corn bread. Dinner’s a little more refined, with pine mushroom croquettes, confit salmon or slow-roast lamb shoulder for two. Peppers Rundells isn’t just about accommodation, it’s all about eating too. In-house restau-rant, Graze, from restaurateur Fiona Battershill (whose parents run the lodge), is all about regional produce. A la carte is on offer, but chef Leigh Irish’s five-course degustation is a culinary tour of local food. Opening with cream celeriac and kale soup, the meal moves through scallops with blood sausage, braised duck leg from nearby Milawa and a seared trout fresh from Harrietville, just kilometres down the mountain. 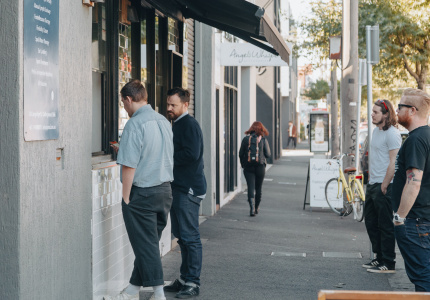 Though Tsubo has been a fixture of Dinner Plain for a few years now, its recent incarnation under Voltaire Silva and Samuel Yanto is perhaps its most exciting. With pedigrees that in-clude Tetsuya’s(link) and Becasse(link), Silva and Yanto are twisting Japanese flavours into interesting new configurations. Its blackened octopus, house-fermented Japanese black garlic and black tea-smoked sheep’s yoghurt is particularly inspired, and an okonomiyaki with prawns, togarashi pork scratchings and “dancing” bonito is almost as big as the mountain itself. 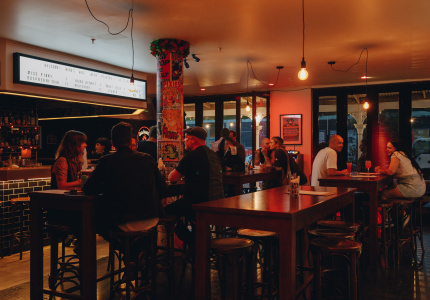 While the food alone justifies the drive, Yanto and Silva’s warm hospitality makes Tsubo feel like a big family dinner. For a relaxed breakfast or late lunch, duck into Mountain Kitchen. Go for a rustic (if delicious) plate of cherry tomatoes, avocado and balsamic on local sourdough, or, if you need fuel for a day on the slopes, order its enormous bacon-and-egg sandwich. 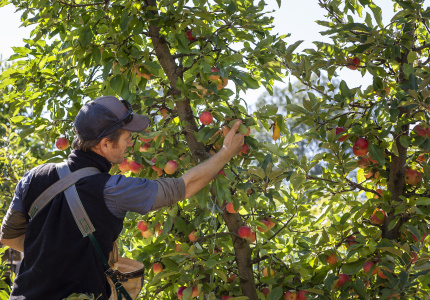 Mountain Kitchen is also the best place to pick up bits and pieces of produce to take down the mountain (or back to your room), with an excellent selection of local relishes, Milawa mustard and highland honey. Sweet. Okay, Bavarian Beer Halls might sound a little naff, but once you’re inside, it’s difficult to resist their spirit. And why would you, particularly when it’s as much fun as Arco Ski Lodge? Exclusively serving true-blue Bavarian brew from Arcobräu in Moos, with snow floating down outside the windows and a one litre stein in your hand, Arco is about as Teutonic as you’re likely to get here in Australia. And, in true Germanic style, there’s strudel to be had with your beer. If it’s cocktails you’re after, all the Dinner Plain locals point immediately to Sola Copa, a little bar on the main street of town. 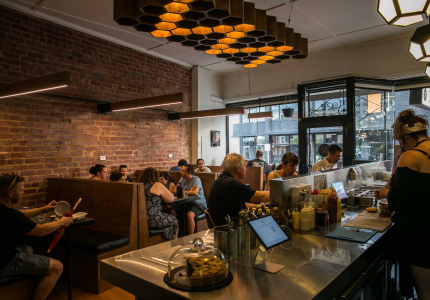 While it’s also a great diner, with dishes such as Myrtleford venison tataki and pickled fennel, or duck and Pyrenees cheese croquetas, you’ll need a drink after a day in the snow. The rave is all about Sola Copa’s espresso martini. We can personally recommend the Old Fashioned. It’s not often one has the chance to ride the mountains behind 10 majestic huskies, so we suggest you grasp the opportunity while you can. Brett Hadden and Neisha Gschwend have a troop of 20 (adorable) Siberian huskies who, by all available evidence, love their job. 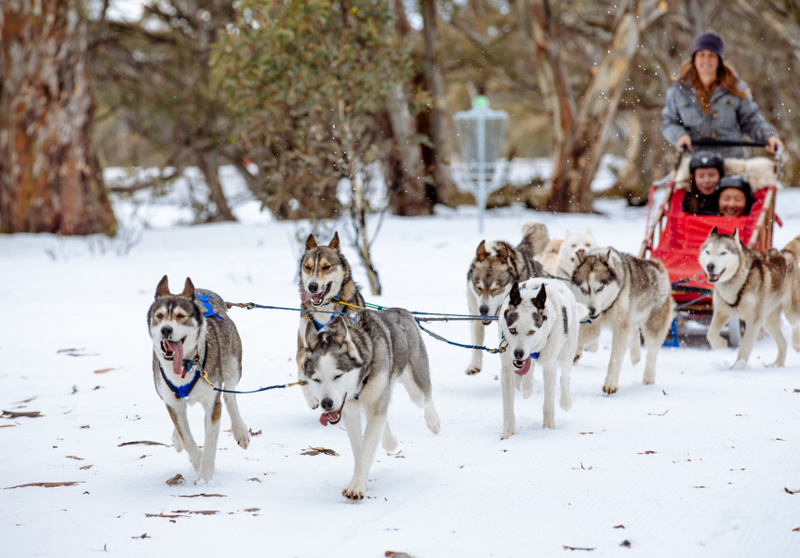 Jump on board the sled and your musher will whisk you through the trees at truly surprising speeds. With gums waving overhead, and the occasional snowflake drifting down, sitting outside in a traditional Japanese onsen is a pretty special experience. Set at 40 degrees, it’s incredibly re-laxing to soak outdoors – then dash into the indoor lap pool for refreshment. Along with the onsen, the retreat features double spa suites, saunas and plunge pools in the change rooms. Dinner Plain has the enviable title of having the country’s cheapest ski lift at its Cobungra Platter slope. Though it’s not exactly a black diamond run, it’s perfect for beginners or kids. 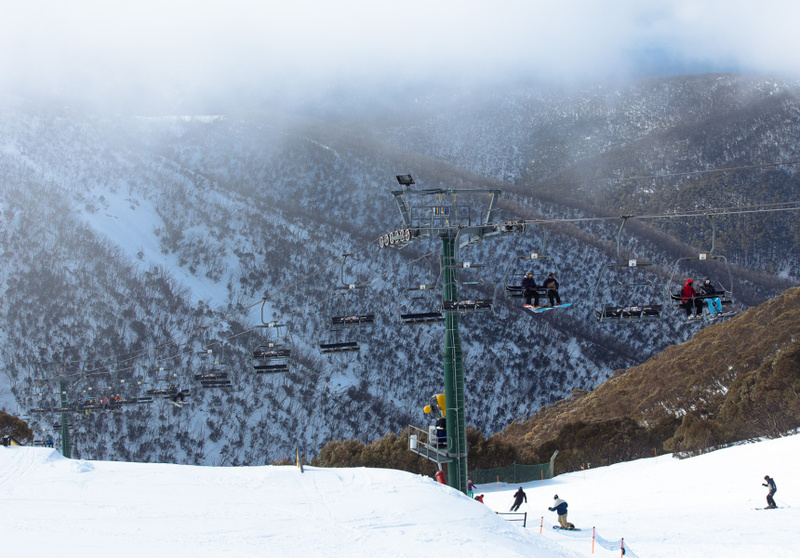 Meanwhile, the skiing at Hotham is at some of the country’s highest altitudes – and, unusually, you start at the top of the mountain. Neat. For those who aren’t into hurtling down mountains at great speeds, the snow shoeing and cross-country skiing should appeal. Hotham and Dinner Plains has some of the most spectacular alpine landscapes in Australia, and they’re all literally just outside your door. Hotham Sports run private cross-country lessons at Dinner Plain, and ski rentals are available from $54 a day at Hoys, both in Dinner Plain and at its Jack Frost outlet in Hotham. 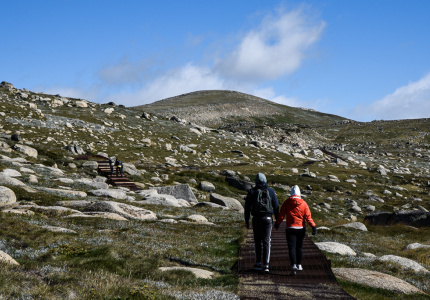 Meanwhile, guided snow-shoe tours are available with Hoys, meandering into the surrounding snow covered forests and plains, past historical huts and amazing views of Hotham, Mt Feathertop and the surrounding High Plains.